If one thing is clear, is that Final Fantasy XII is one of the most highly-regarded video games in the long running role-playing series. It was originally released back in 2006, and managed to take the world by storm despite facing tough competition from other top-notch RPGs like The Elder Scrolls: Oblivion. As is usually the case in the Final Fantasy games, this had a good cast of characters including protagonist Vaan and the delightful princess Ashe. Plus the game’s story set in the fantasy world of Ivalice was also one of the best seen in a fantasy game to date too. Sadly, though, the PS2 original is showing its age these days, so it’s a good thing that Square Enix has been busy working on a remaster to its 2006 classic. Final Fantasy XII: The Zodiac Age is slated for release early on PS4 next month, and no doubt is one of the top games coming to Sony’s console this year. And Final Fantasy devotees will surely be interested in the game’s Collector’s Edition, which will retail for $199.99 US dollars and comes packed with a series of extras fans will no doubt appreciate. Also included in the Collector’s Edition box is a Steelbook case, which is adorned with art exclusive to this edition of the game. Inside this case you will find the game’s Blu-ray disc, plus another disc including a selection of music from the game. Regarding the music, Final Fantasy XII’s score was composed by Hitoshi Sakimoti and not series regular Nobuo Uematsu (he still contributed the theme song though), but Sakimoti’s music for Final Fantasy XII should make for a good listen nonetheless. This Collector’s Edition of Final Fantasy XII includes yet another extra, and this is a set of six art cards. These cards feature art based on the game including characters like Penelo, Fran & Balthier, Basch, princess Ashe and airship captain protagonist Vaan. Another bonus is a digital code which you will be able to use in the game to unlock the original music, if you would rather listen to it while playing instead of enjoying the new, remastered soundtrack in-game. 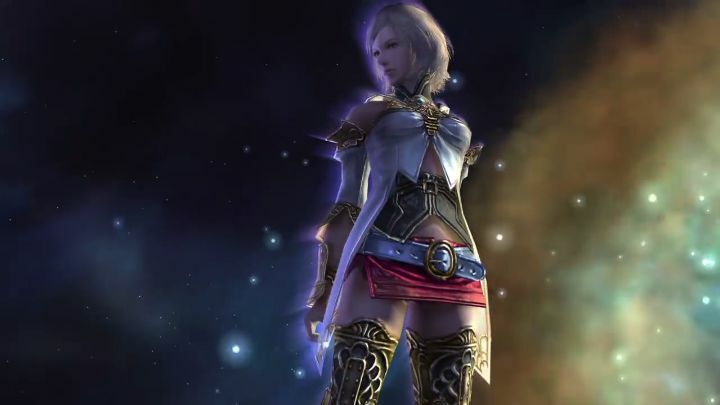 Will this Final Fantasy XII remaster be the definitive edition of the game fans are hoping for? Of course, those not wishing to pick up the Collector’s Edition can settle for the Limited Edition of the game which is priced at a more reasonable $49.99 US dollars, and also includes the Steelbook case and digital code to unlock the original soundtrack in the game. Both these editions are available from Square Enix’s website here. So Final Fantasy fans eager to replay the 2006 classic or dive into this Final Fantasy instalment will no doubt be eagerly awaiting the game’s early July release. 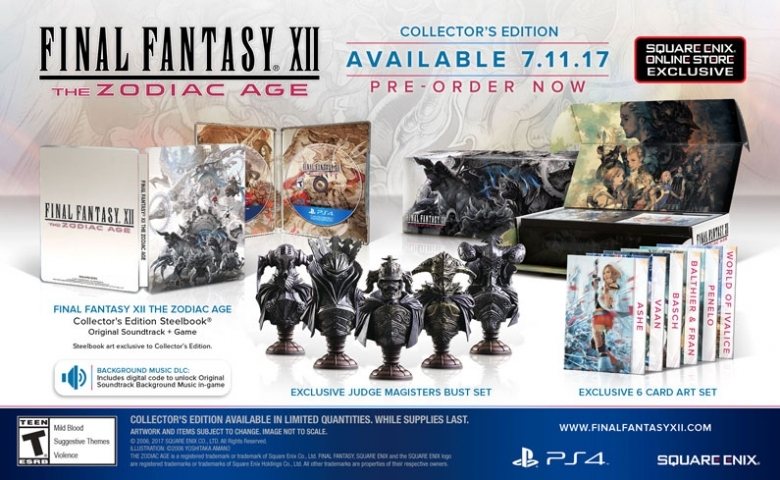 And clearly many will be waiting for this chance to replay or get to enjoy for the first time what many consider one of the best Final Fantasy games of all time, meaning Final Fantasy XII: The Zodiac Age could end up being one of this year’s top video game hits when it launches in two weeks’ time. Note: Final Fantasy XII: The Zodiac Age will be released on July 11, 2017. Available on PS4.